Although previous studies have associated coffee drinking with a lower risk of mild cognitive impairment, a new study published in the Journal of Alzheimer’s Disease suggests that this “lower risk” might depend on how consumption habits change over time. To conduct the study, researchers focused on 1,445 people between the ages of 65 to 84 who were part of the Italian Longitudinal Study on Aging. Researchers followed participants for an average of three-and-a-half years and monitored their coffee consumption habits; they noted if and when participants experienced incidents of mild cognitive impairment. Results from the study showed that cognitively normal participants who increased their coffee consumption to more than one cup a day were twice as likely to be diagnosed with mild cognitive impairment compared to those who reduced their coffee consumption to less than one cup a day. Participants whose coffee consumption increased over time were 1.5 times more likely to develop MCI compared to those who kept their coffee consumption stable (no more or less than one cup a day). Participants who drank a moderate amount of coffee—between one to two cups a day—had a lower risk of developing MCI compared to those who barely drank coffee. The team concluded that further research needs to be conducted to determine what drives coffee’s protective effect against MCI. It is estimated that about 10 to 20% of adults in the U.S., aged 65 and older, may have MCI. 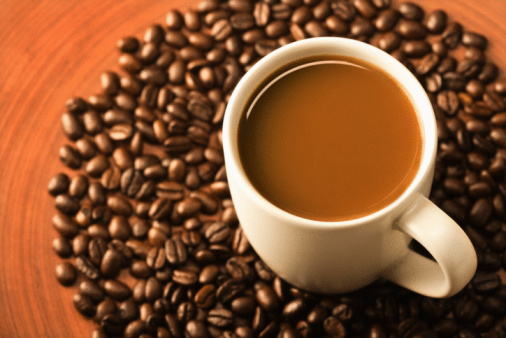 Whiteman, H., “Coffee drinking habits may influence risk of mild cognitive impairment,” Medical News Today web site, July 29, 2015; http://www.medicalnewstoday.com/articles/297449.php.